I, Claire Alina, qualified as a registerd tour guide in 2008 and have worked steadily in the tourism industry here in the capital city for the last 11 years. In 2011 I started my own tour guide service covering the most interesting points of inner Bucharest, giving a more in depth and accurate account of my home city. The history of this beautiful and diverse city has always been my passion and I strive to pass on my extensive knowledge of Bucharest to my guests, in the most informative and entertaining way. My tour is conducted either in the English or French languages, in which I am fluent. I am a qualified and registered tour guide and hold the relevant credentials required. There are no hidden costs or tips required with my tours, the rate of €19.00pp (city tour) covers the 3 hour city centre tour completely. Free centrally located Hotel Meeting Available. See your tour guide on You Tube. 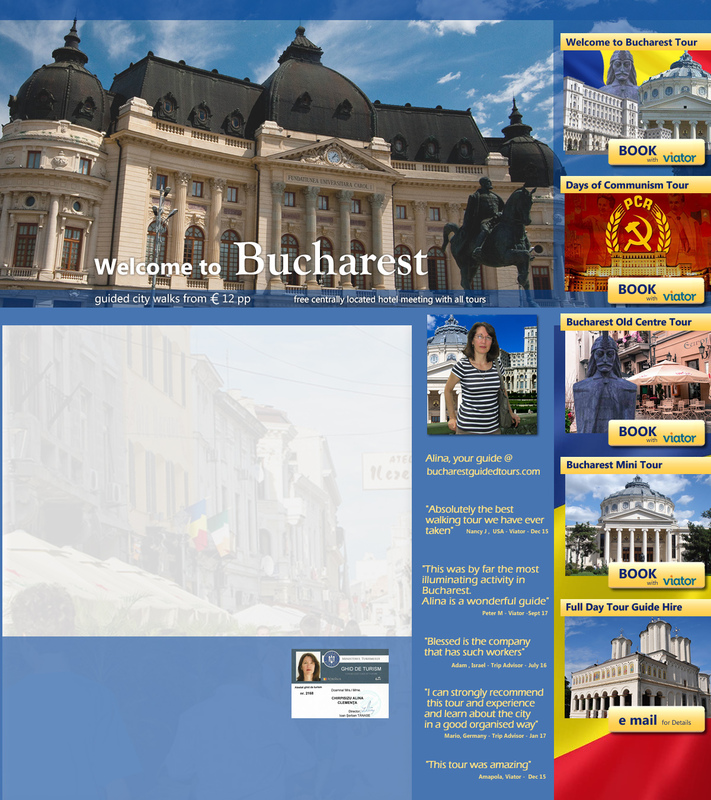 If you wish to book with me or find out more about this friendly and professional service, please contact me at info@bucharestguidedtours.com,. I look forward to hearing from you.. Alina. Persoana Fizica Autorizata, Authorised Sole Trader.